Happy National Senior Citizens Day! We thank and salute you for your sacrifice, love, support, and encouragement, especially to the younger generation. We look to you for sense of purpose and guidance. Senior citizens desire a meaningful quality of life and they deserve to be celebrated with a dignified life. Many continue to play an important role in society including embarking on second careers such as volunteering in various programs locally and worldwide. Whether it’s knitting hats for a local crisis nursery or playing piano during happy hour, giving back in some small way feeds the soul. Seniors have always been the driving force of motivation, dedication, and determination to our younger generation. With the wealth of knowledge and life experience, they continue to inspire and encourage the younger generation to strive for success, emphasize manners and respect, and so much more – all in the name of a better tomorrow. At Tuscan Gardens®, we strongly believe that every senior regardless of background has the right to live well. Tuscan Gardens provides the landscape for seniors to enjoy the fruits harvested from a life well lived. 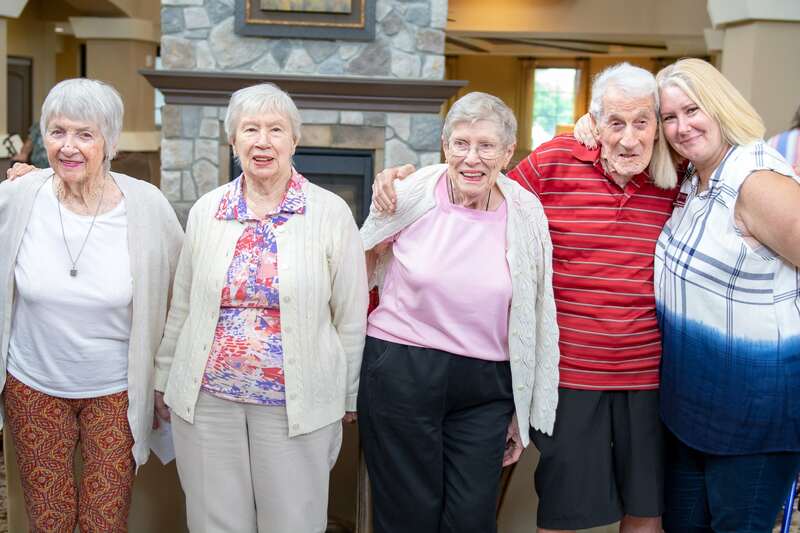 It was created as a continuum of care where seniors can live and thrive with purpose, passion and joy, in whatever stage of life and living situation they find themselves – independent living, assisted living or memory care. The result is an invigorating life of new ideas and experiences with the wisdom, time and curiosity to enjoy them all. Inspired by Our Family, Created for Yours. Click here to contact us today to learn more about our communities and to become a part of our Tuscan Gardens® Family.